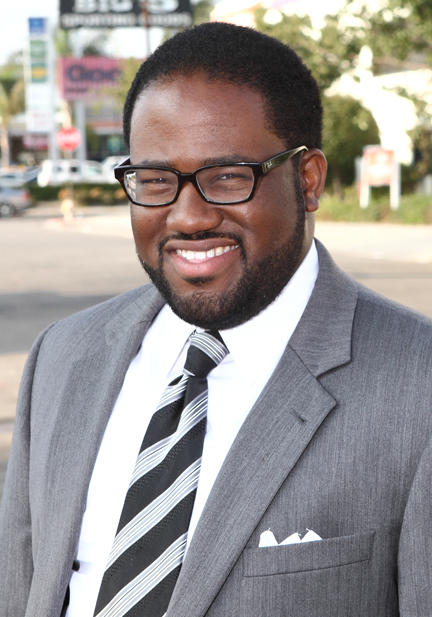 As the Dec. 3 special election nears for the 54th Assembly District, leading candidate Sebastain Ridley-Thomas has increased his support base by adding community faith based leaders this week. “My experience working on policy issues at the state level and working on affordable healthcare issues in Washington, D.C. have helped form my commitment to help people striving to get through tough times and simply do better than they did yesterday,” said Sebastian Ridley-Thomas. “But my parents imbued in me, and my brother, the dedication to our community, an inner strength borne from faith and a willingness to work hard to serve the public good. Rev. Norman Johnson, pastor of First New Christian Fellowship Missionary Baptist Church, also said he will also support the young Ridley-Thomas. “With high unemployment still staggering residents of our community and foreclosures still threatening our homeowners, this is a time for new leadership that will be in our corner to fight for jobs and economic development that will lift our community and put our residents to work,” he said. Thompson and Johnson join other prominent faith based leaders such as Bishop Charles E. Blake of West Angeles Church of God in Christ; Bishop Kenneth C. Ulmer, Ph.D., Faithful Central Bible Church; Rev. LeSean Tarkington, St. James African Methodist Episcopal Church; Rev. J. Benjamin Hardwick, president, Western Baptist Church; Rev. Robert Habersham, Hamilton United Methodist Church; and Rev. J. Edgar Boyd, senior pastor at First AME Church in their approval of the candidacy of Sebastian Ridley-Thomas.